The PJ Harlow Swing Jacket with Pockets SHELBY adds the elegance of a satin lapel to the comfort of fine quality ribbed cotton. 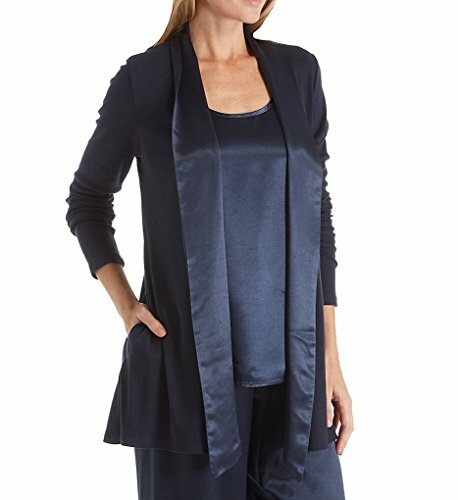 PJ Harlow's Shelby Swing Jacket with Pockets is made of Supima cotton, micro modal and spandex. Country of origin: US Care: Machine wash Cold. Do NOT bleach. Tumble dry Cold. If you have any questions about this product by PJ Harlow, contact us by completing and submitting the form below. If you are looking for a specif part number, please include it with your message.